In a maze, you lose yourself. In a labyrinth, you find yourself. 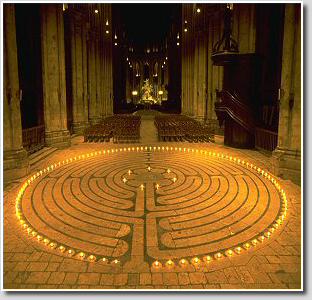 The labyrinth is an ancient tool to aid in meditation and contemplation. Walking the path into the centre and out again focuses the mind, slows the walking pace and gives opportunity to reach into our inner being. 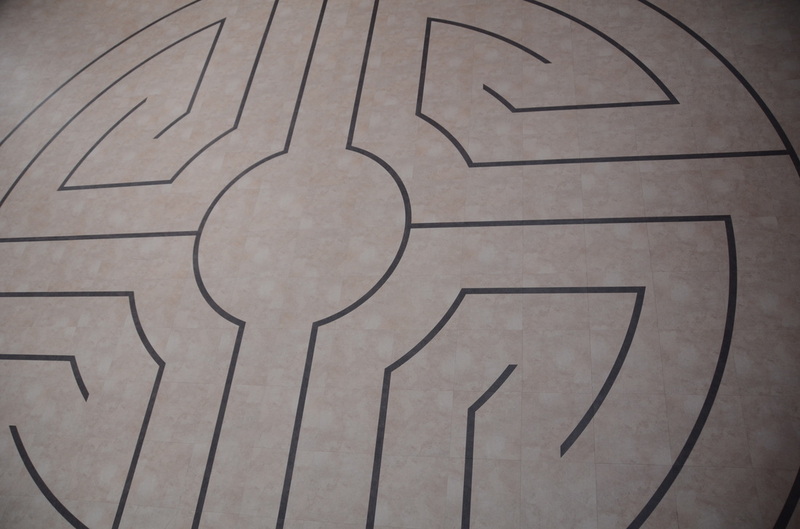 We also have several finger labyrinths for those who have difficulty walking or have mobility restrictions. Finn's Place now has its own portable canvas labyrinth which can be taken to other locations and used for mindful walking or meditation. 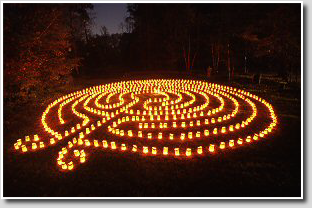 Contact Ruth if you would like the labyrinth to come to your place of work or organisation. Dimensions - 22' diameter. have a history that can be traced back over 4000 years. 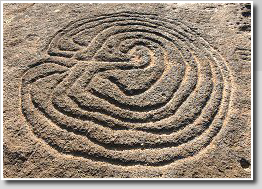 The earliest examples, found carved on rocks, all have the same design - the classical labyrinth symbol. This design was taken by the Romans and new forms were created for use on mosaic floors. And the labyrinth symbol is also found throughout India, as far away as Sumatra and Java and in the American Southwest, although many questions remain around when it first appears and how it spread to many of these regions. 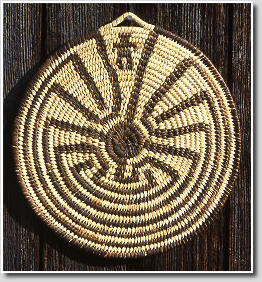 Further developed during medieval times, the labyrinth design then appeared on the floors of the Gothic cathedrals of Europe, on village greens and hilltops, on remote coastlines and islands in Scandinavia, up to the Arctic circle and beyond. Fashionable again in the 19th century, in the late 20th century the story takes another dramatic turn. First mazes, then labyrinths find a new acceptance, and at the current time are more popular than they have ever been throughout their tortuous history. 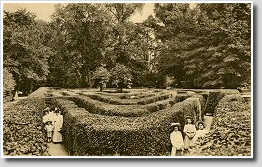 During the late medieval, the labyrinth design was adapted further, and developed into the familiar puzzle mazes of tangled hedges we know today from parks and gardens. Each of these episodes has created new forms, new designs, new meanings and purpose.